I'm not too proud to beg for this one! Three videos into The Gospels from last year's review, Matthew was begging "Are there any more Dave videos?" We absolutely LOVE LOVE LOVE his delivery. I think we'd rank him tied for our top three "teachers" [for any program we've used]. We even have a trip back to Washington DC for the Museum of the Bible in the works. It's something that would probably be on our "eh, doesn't sound exciting" list, and Matthew looked at me like I had three heads when I said it was opening and we should go. When he found out Dave & Co. did the video presentations for it, suddenly, a Bible museum sounded cool to my teen! Matthew's bugging me at least twice a week, "When are we going, when are we going??" THAT is how impressive Dave Stotts is. I knew this was going to be a good one. Our one-year subscription to Drive Thru History Adventures comes with access to three core programs: an 18-week course on Bible History (The Gospels), a 12-week course on early American History, and a 12-week course of Ancient History that focuses on early Greece, Rome, and Asia Minor. 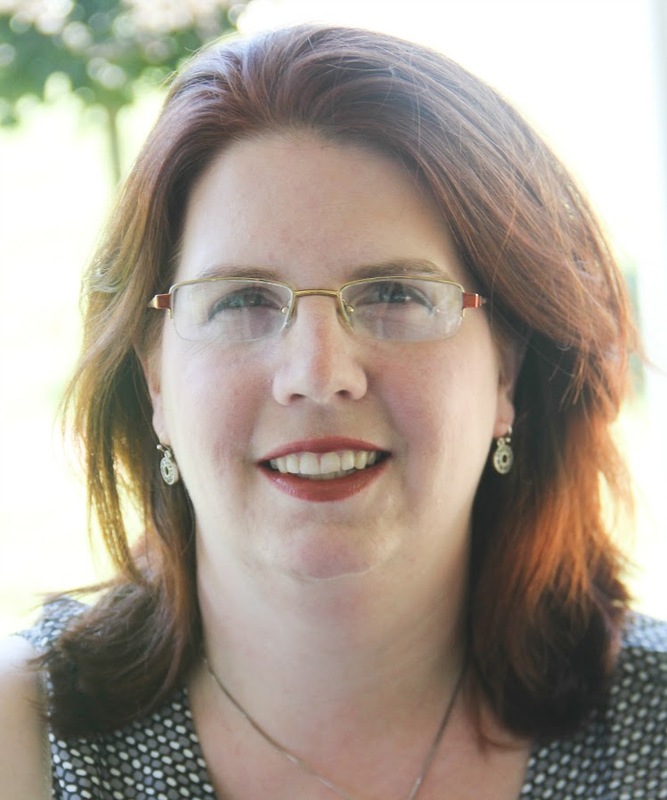 These programs are fantastic for several age/grade ranges. Simply watching the videos provides an excellent overview for younger students (kindergarten through middle school), but combining the videos with discussion guide questions and provided further reading and discussion sections creates a well-rounded course for older students. Our house focused on the Ancient History course for this review period. Now, I could tell you all about the variety of topics Dave discusses in the course, and how they've affected our world's history, society, government, and theology. You could probably guess that much, considering the Ancient History course is subtitled "Christianity and the Birth of Western Civilization." It starts with the founding of Rome and covers through to the fall of Constantinople. Along the way, you'll discover Romans, the Greeks, and to some degree, the Muslims, Arabs, and Jews. We studied The Gospels with Drive Thru History last year, and that approaches history from a Biblical perspective, using historical events to underscore the Bible as both a religious and historical book, and not a work of abject fiction. 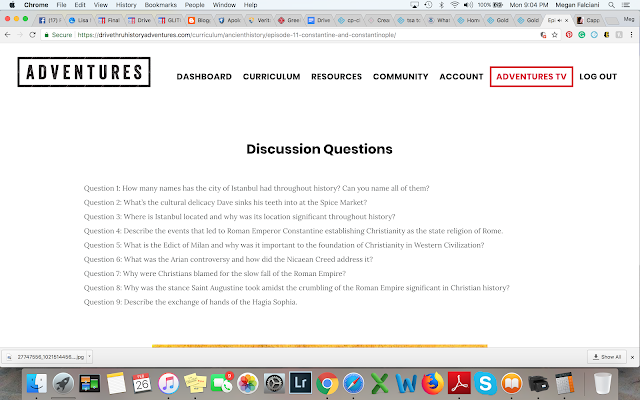 While this course approaches history from a Christian viewpoint, it is more secular history, weaving Biblical/Christian events and Scripture passages into the story for timeline purposes. Maps, art, and photographs provide visual explanations that help clarify audio voice-overs. The presentation isn't just "here's this town, here's what happened." Dave explores a lot of the culture of the places and really helps to put the civilizations in context of themselves. 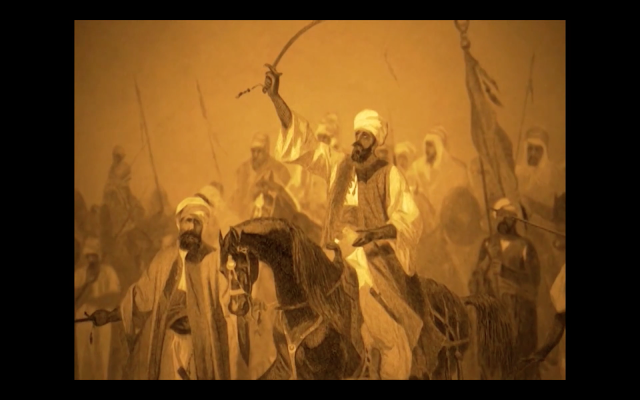 One thing that really annoys me is many history courses tend to look at history through today's society and conscience. We may realize today that the Oracle at Delphi's trance was probably induced by mind-altering substances that today either the courts or the FDA heavily regulate and not by a communique with the gods. However, that doesn't mean that the peasant-ish folks of back then (who wouldn't have had access to these substances) were fools. It was just a different time and philosophy, and Dave takes pains to make sure we understand when things happened, not just what things happened. He also shows us where places have been abandoned, and where they continue to thrive. I liked that there were two options for learning. One was the content filled "regular site," where students could access the videos and all of the related accompaniments. 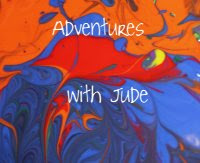 With the Adventures TV app, viewers can take the videos with them on tablets and smartphones. There were times where we needed to be away from home, and he could work with his phone and earbuds, then come home and finish assignments. However, even if you think, "I don't want or need all of that, I'm just interested in the topic and would like to watch videos," a subscription is still worth the investment (the app is free, but a subscription is required to access content). You will have access to the same video content as the full site, including all of the formal programs plus additional content such as "Side Roads" that tie into the programs but wander down less formal garden paths, "Dave's Adventures", and "Behind the Scenes" videos about the building of the Museum of the Bible in Washington, DC and how Drive Thru History has been involved. (Dave has mentioned in his Dave's Adventures videos that he will be there on March 15, 2018. I almost considered making the trip just for the chance to shake his hand, but it's also my hubby's birthday, so Dave is safe from this crazy mama going all fangirl on him.) I was delighted to find out that this indeed is a family membership - I could be logged in watching one thing while Matthew was logged in watching his next lesson! However, Mom going on and on about how well produced the videos are, how much content the lessons contain, and how Dave is so engaging that he reels you in and leaves you disappointed when an episode is over really doesn't mean much if you're thinking, "Ok, you like it, but you're not the one who actually has to study the stuff. You're doing it for fun." So, I asked Matthew to sit down and write three paragraphs: one about the content, one about the benefits of the Drive Thru History Adventures subscription program versus the stack of DVDs he's been using, and one about Dave. In the course, I learned way more about events compared to reading about them. 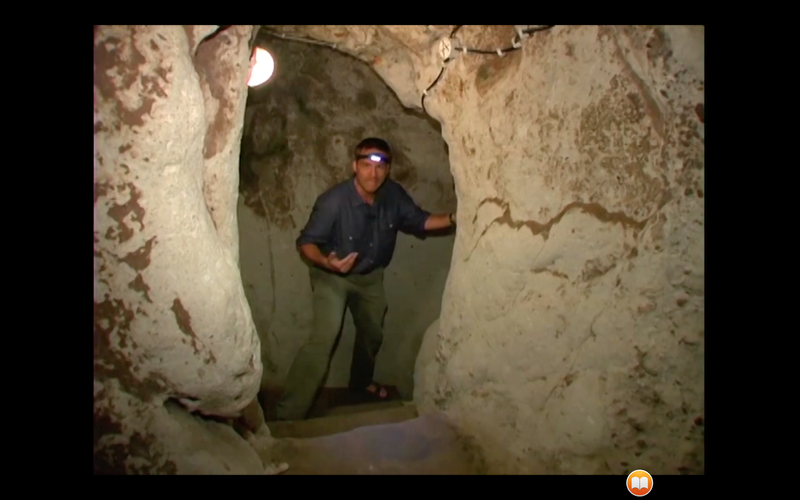 For instance, if I were to just read about the underground tunnels and cross-shaped church, located in Cappadocia, Turkey, I most likely wouldn’t give it much thought. A textbook would have pictures, but there would only be one or two, and wouldn’t show the most important aspects. Mr. Stotts explained how the Hittites built the top layers of the cave system, and then the Christians dug to eight stories down. 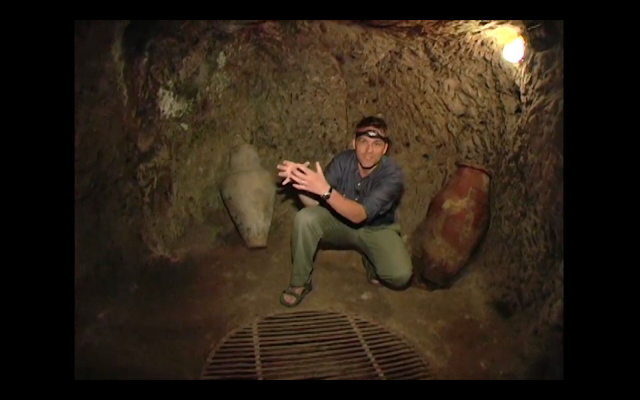 Watching Mr. Stotts explore the cave, I saw just how difficult the tunnels were to navigate. Passages get smaller, making it impossible for Romans with shields to get through. 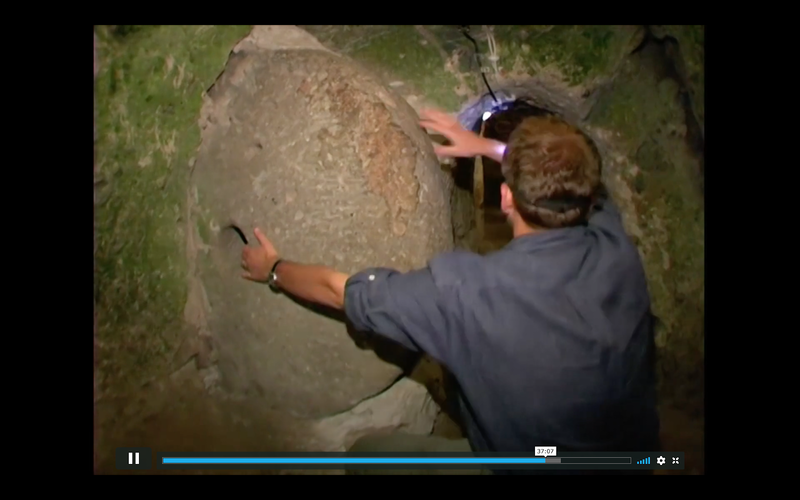 He showed how a giant doughnut-shaped rock would seal the passageway shut. A center hole was in the rock, and Christians on the defensive could poke a spear or shoot an arrow through the hole, causing deadly harm. At the very bottom was a cross-shaped church. Because Mr. Stotts had a cameraman scanning the entire area, I could see all of it, not just a small section that was in a single frame. He even pointed out where the early Christians carved a cross into the rock wall of their church. When I started the Drive Thru History Ancient History course, I was watching them on DVDs. I was really happy to use a streaming option. The website is much easier to use with all the lessons being in one place and being easier to access. It is hard to watch the lesson video if you can’t find the right DVD that you put away somewhere and forgot exactly where you put it for next time, or if you put it away in a hurry and scratch it. With the streaming option, they were always on the same website. The website also expanded on documents in the video, while the DVDs did not. I liked that there were pre-written discussion questions because it meant I could work by myself, rather than having to wait for Mom to watch with me and write questions out herself. We actually had watched a few, and the website's questions were almost the same as what she wrote for me to answer. Mr. Stotts is funny most of the time but is serious at the right time. I loved the addition of the bloopers in the Ancient History Adventures course. 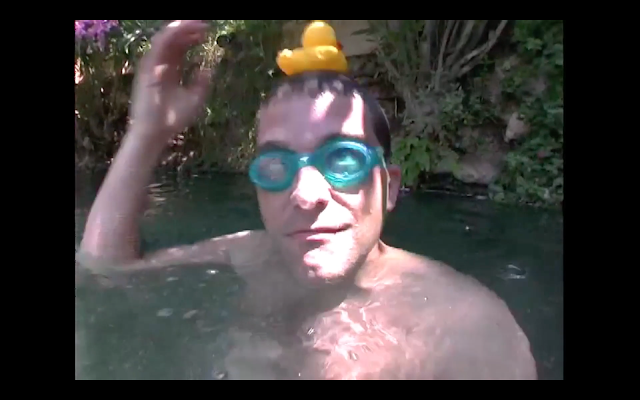 My favorite bloopers were the ones from the Laodicea ruins involving the rubber duck, and how he managed to still have it in his hand every single time he tried to continue filming. If it wasn't in the one hand, it was in the other one (or on his head) until finally he jokingly ate the duck in frustration (which I found hilarious because I can understand how he felt when you keep messing up by accident). I didn’t feel bad laughing when struggled to find his way around Rome because he was sarcastic and poking fun at his frustration. I’ve studied both Ancient History and the Gospels from Drive Thru History and really enjoyed learning. It would be great if there were courses on other cultures mentioned but not expanded on in the courses, like the effects of the Muslims taking over the Holy Roman Empire, or even later eras like the Renaissance. Mom again. I think that if you leave a teenager wanting more history, you've got a good thing going. To celebrate their launch, Drive Thru History Adventures has two specials for new subscribers. First, they are offering a copy of the DVD set The Gospels as a gift with a subscription. Click the Drive thru History logo below to claim this offer. 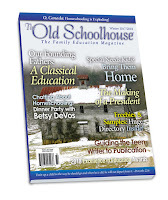 Second, they are offering readers of The Old Schoolhouse® Magazine (the parent company of the Homeschool Review Crew) a 20% discount. The promotion code can be found on page 19 of the Winter Edition. You can access the digital issue by clicking the magazine image below. We love Drive Thru History Adventures. Dave has mentioned that there is another Bible-based series launching soon, and we can't wait! In the meantime, we'll be over in the corner, glued to our laptops and phones, watching Drive Thru American History! 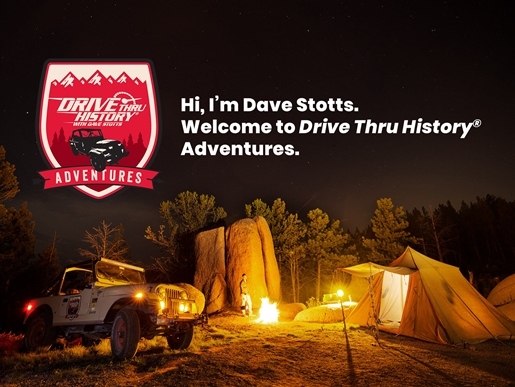 If you'd like to read more about Drive Thru History Adventures, including specifics on the other history programs offered, click the banner below.